We had an enjoyable workshop yesterday painting the bluebell wood. Everyone did so well even though it’s not the easiest subject. Keeping the delicious blues bright and clean is quite a challenge. 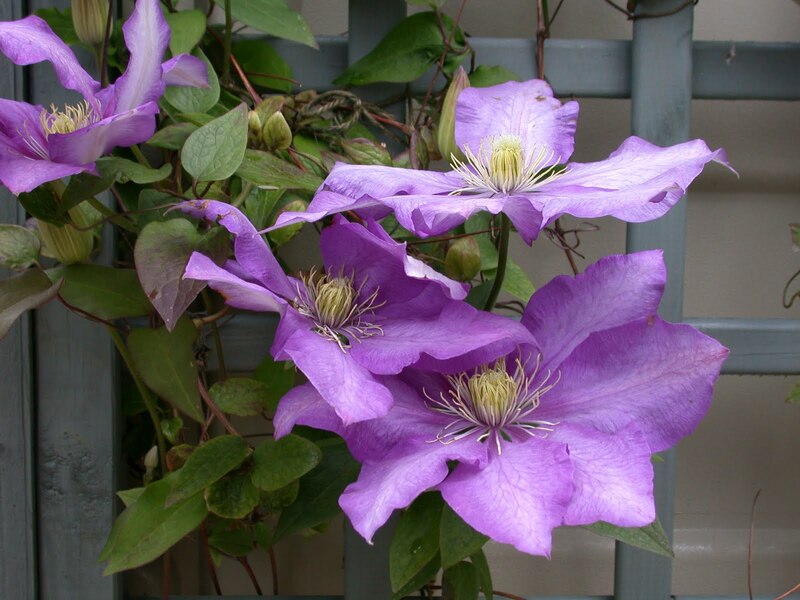 But it’s on to Clematis on a trellis next weekend. I have quite a few growing in my garden and their winding tendrils are starting to emerge, forging their way upwards. The evergreen Armandii is already in flower and the Montanas’ buds are just about to burst open. That’s Spring for you. There’s no holding it back. 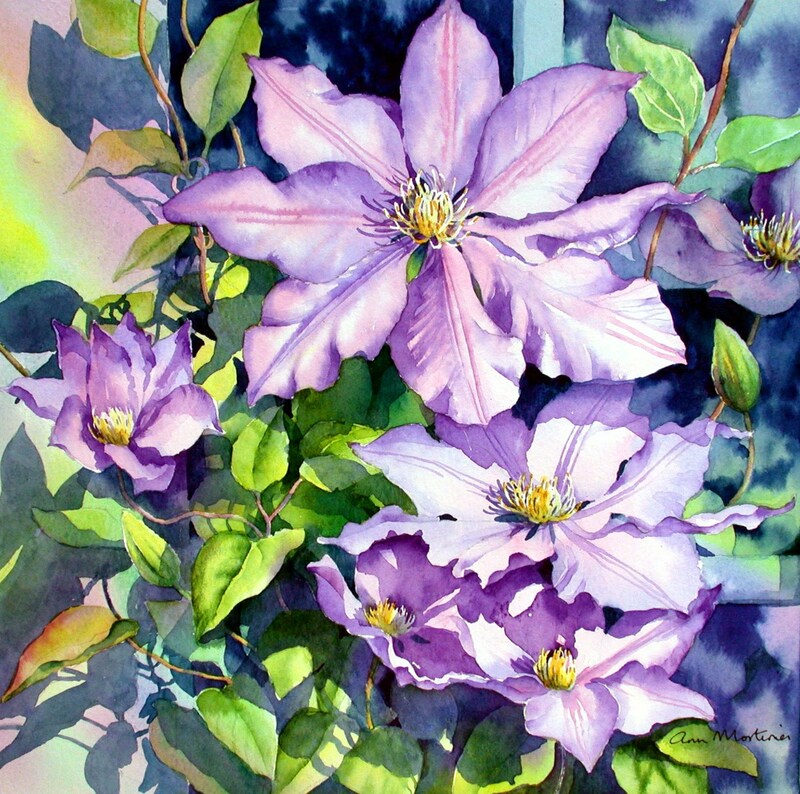 The photo here is a ready made composition with the clematis flowers in a nice group of three. I’m going to paint them white though, as this blue (Daniel Deronda) is difficult to make emerge form the background. Unless you put in lots of cast shadows as in this painting.